Dr. Rebecca Flaiz grew up in Hermiston, Ore. She received a bachelor’s degree in Spanish from Walla Walla University and graduated from Loma Linda University School of Dentistry in 2011. She enjoys patient education and is passionate about preventative dentistry, knowing that it's the small steps we take to care for our teeth can help protect and preserve them for a lifetime. When she's not here at One Community Health, Dr. Flaiz spends her time gardening, enjoying mycology, cooking, doing pottery, painting and spending time with her family and two cats. Dr. Robin Piatt grew up in a small Oregon coastal town with limited access to health care. During dental school, she pursued several opportunities to explore public health including two dental service trips to serve in the Kingdom of Tonga, Give Kids a Smile, Mission of Mercy, and Northwest Medical Team. 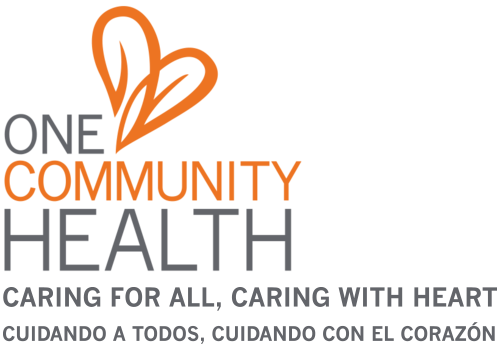 She has an invested and genuine desire to serve patients with barriers to care and embraces the mission at One Community Health that advocates for the advancement of comprehensive and holistic health for all members in the community. Dr. Piatt holds a bachelor’s degree in biology from Northern Arizona University and a doctorate in dental medicine from Midwestern University in Glendale, Ariz. She is thankful to return to her home state where she and her husband will raise their three children. She enjoys the simplicity of the outdoors, cooking, Crossfit and exploring the beautiful Columbia Gorge! Dr. Colin Taggart was born and raised in Portland, Ore. He spent his undergraduate years at the University of Puget Sound, majoring in biology and minoring in music. He then decided to spend two years working as a program leader with Portland’s Outdoor School Program before beginning his studies at the Oregon Health & Sciences University School of Dentistry. While in dental school, he gave much of his time to community health events and found a calling in serving those with the most limited access to basic health care. His general practice residency at the University of North Carolina in Chapel Hill afforded him the opportunity to further expand his scope of practice before coming home to the Pacific Northwest. When he’s not pursuing his passion of improving his community’s health, he may be rock climbing, making music, paragliding or learning Spanish. Mary Davidson obtained a bachelor's degree in dental hygiene in 1978 at Georgia Health & Science University School of Dentistry. She earned her master's degree in public health from Walden University. Mary serves on the Oregon Board of Dentistry as one of two hygienists. She is a member of the Oregon Dental Hygienists’ Association, the American Public Health Association, the American Association of Public Health Dentistry, and the Oregon Rural Health Association. Mary works with two national dental and dental hygiene testing agencies and provides educational training as well as serves on various committees. Her Oregon permits and endorsements include Nitrous Oxide, Expanded Practice, Local Anesthesia, and Restorative Functions. She is currently on Portland Community College’s Dental Hygiene Advisory Board. She was a member of the First Tooth Advisory Board and Carrington College Dental Hygiene Advisory Board. She has participated with multiple volunteer organizations such as The Tooth Taxi, Mission of Mercy, and Give Kids a Smile Day, providing a variety of dental hygiene services. Mary and her husband live on a farm located south of The Dalles, Oregon. Kimberly holds an associates degree in dental hygiene from Mount Hood Community College, and her Oregon permits and endorsements include nitrous oxide, expanded practice and local anesthesia. She volunteers at Give Kids a Smile Day and the School Sealant Program. Kim enjoys promoting health and wellness through dental hygiene and is passionate about providing care to all patients, especially the underserved and uninsured/underinsured. She is married with two sons and has lived in the Gorge since 1997. In her free time, she enjoys mountain biking and hiking. Born and raised in Hood River, Silver obtained her bachelor’s degree in dental hygiene at Oregon Institute of Technology in 2015. Her Oregon permits and endorsements include nitrous oxide, expanded practice permit, and local anesthesia. Upon being hired with us, she served as an expanded functions dental assistant and since continued her educational pursuits to earn her license in dental hygiene. Among Silver’s favorite professional pastimes, she has enjoyed volunteering at our annual Give Kids a Smile Day and for the School Sealant Program. As a Hood River native, she loves where she grew up and the community in which she lives, which inspires her to give back and do her best at One Community Health every day. When not on the clock, she enjoys spending time with family and friends, hiking, baking, and traveling. Camie Klantchnek obtained her bachelor’s degree in dental health from Pacific University in 2011. She has had experience working in both private practice and public health. During her senior year of hygiene school, she worked as a student intern treating patients at One Community Health. After graduation, Camie became a permanent employee. Without a doubt, Camie has a passion and drive to work in public health. She loves educating her patients about their oral health and chose to work at One Community Health because she wanted to give back to her community and provide quality care to those in need. Growing up in Hood River, Camie was a long time patient of One Community Health, formerly known as “La Clínica del Cariño.” In the past, Camie has volunteered her time at the Portland Mission of Mercy, Give Kids a Smile, Binational Week, and Project Homeless. On her days off, you can find Camie exploring the Gorge with her husband and two boxers, Lucy and Tucker. She also enjoys spending time with friends and family, cooking, hiking, camping, traveling and doing CrossFit.